Jordan Brand released their banner model for this year, the Air Jordan 2011, and continuously expanded it by releasing new models connected to it like the Air Jordan 2011 Q Flight. Soon, another one is set to come out and it is expected to gain a lot of attention like its predecessors! Dubbed as the “Air Jordan 2011 A Flight”, this new shoe from Jordan Brand will be making its debut soon in Black/Varsity Royal colourway. 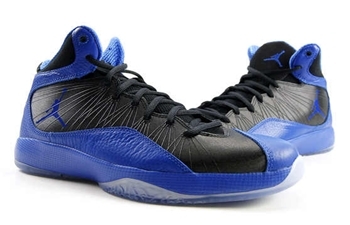 This new silhouette features a black upper part combined with royal blue midsole and Jumpman logo. The shoe looks stunning so don’t overlook this one once it hit shelves!